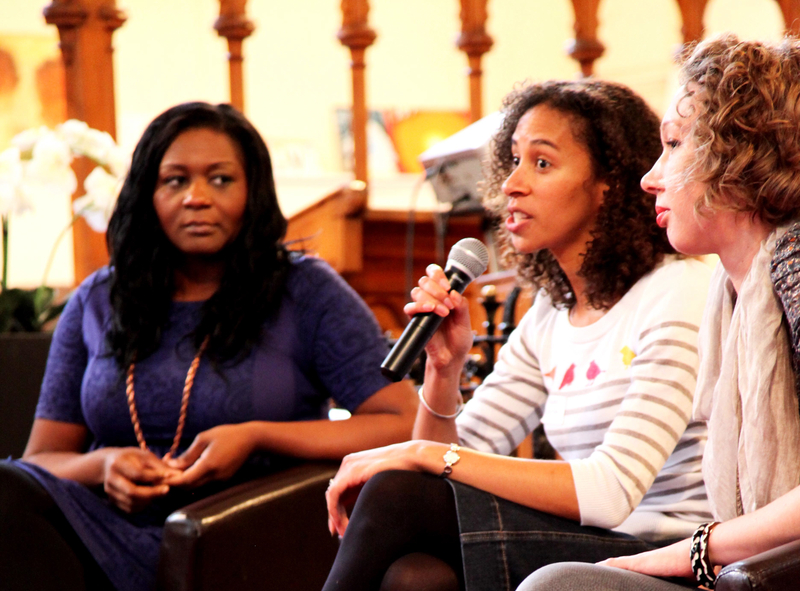 Vicky Walker hosted a panel including Chine Mbubaegbu, author of Am I Beautiful?, Sarah Smith from Esteem Resource Network and Hannah Jean who is an image consultant, exploring appearance, confidence and the beauty myth. We talked about how we can resist cultural pressures to conform and help younger leaders do the same, examining the voices we absorb that shape our own self image and confidence and asking whether Christian culture helps or hinders us in developing confidence in who we are and how we should present ourselves. Kiera Phyo facilitated an open-space discussion exploring barriers to leadership. People suggested topics that they would be happy to host a conversation about which included: how to balance work, money and time when the thing that you’re passionate about is not what you do for a job; developing confidence in leadership; imposter syndrome where you feel like you’ll be found out any moment; how to pioneer and get something started; patriarchy, stereotyping and sexism; taking on the authority and leadership that comes with a top job. Some great conversations which we hope will continue.